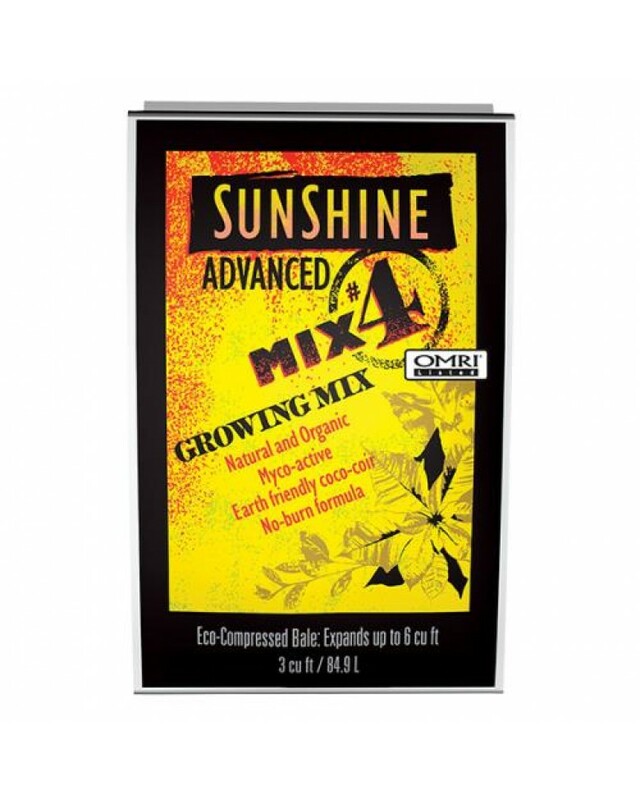 Sunshine® Advanced Mix #4 is meticulously formulated to meet the needs of professional growers, yet is easy to use for beginners. It contains Canadian Sphagnum peat moss, coarse perlite, coconut coir & an organic starter nutrient charge. This mix is also complemented with multiple strains mycorrhizae & an organic wetting agent. 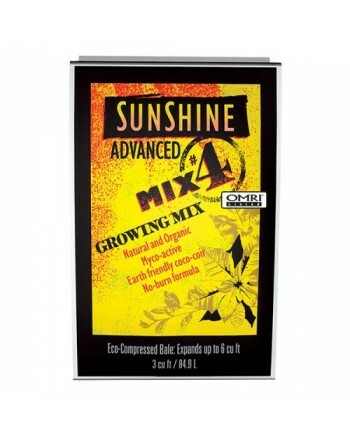 Formulated to retain moisture while improving root aeration & drainage, this mix ensures a strong, healthy root system that has better resistance to stress.